NASA will hold a televised news conference today to unveil the latest science discoveries by the Mars rover Curiosity, the agency's newest robotic explorer on the Red Planet. The press conference will begin at 2 p.m. EDT (11 a.m. PDT/1800 GMT) and will be televised live on NASA TV, as well as webcast online. The briefing will "present science findings from the Curiosity rover's mission to Mars' Gale Crater," NASA officials said in an announcement. 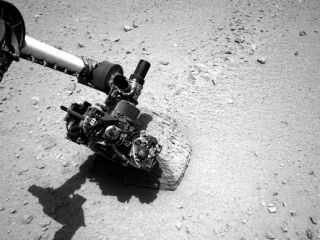 The rover has completed its first 50 days of Mars exploration, they added. NASA's $2.5 billion Mars rover Curiosity landed on the Red Planet on Aug. 5, beginning a two-year mission to explore the planet's vast Gale Crater for signs that it could have once supported microbial life. The 1-ton Curiosity rover is the size of a car, making it the largest rover ever sent to explore another planet.